Well, we made it to the end of another year and we’re ending this one on a high note! Thanks to Leafly for recognizing us as Best Overall Dispensary in Oregon for 2017. And shout out to one of our newest additions to the Farma crew, Tiara Darnell, who also snagged Leafly’s Oregon budtender of the year title! In the short time she’s been with us, Tiara has shown care and compassion in her interactions with everyone from colleagues to clientele, and clearly, it hasn’t gone unnoticed. Good work, T! Speaking of care and compassion, that (and cannabis) is what we do best. Each day we strive to go above and beyond to make the Farma experience the best it can be for new visitors, regulars, and everyone else in between. We vow to continue doing so into 2018 and beyond. Finally, as 2017 comes to a close, it’s worth repeating how grateful we are to you all, our Farma friends and family! Your continued patronage and support throughout this past year means everything to us. 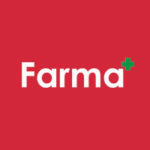 Farma truly wouldn’t be what it is without the people who walk through our doors every single day.